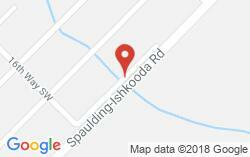 Sent LOR, SASE, 85 Fleer card, and 88 Topps card to the Spaulding Ishkooda Road address in B'ham, AL on 12/24/18. Got response 1/28/19. There was a snafu with my return and another person's return in Texas, so I'm not really sure how fast or slow his response actually was, and I don't have a pic of my SASE, because my re-route through Texas made my cards wind up in a different envelope. It's actually even more complicated than what I've typed here, but...got the cards! Thanks Mr. Hall, and thank you Mark in Texas for being a stand-up guy!